Mounted jointly by Helensburgh Heritage Trust and the Argyll & Sutherland Highlanders Museum, it brings together many items and facets of local interest relating to Helensburgh and district and how it was affected by the war. 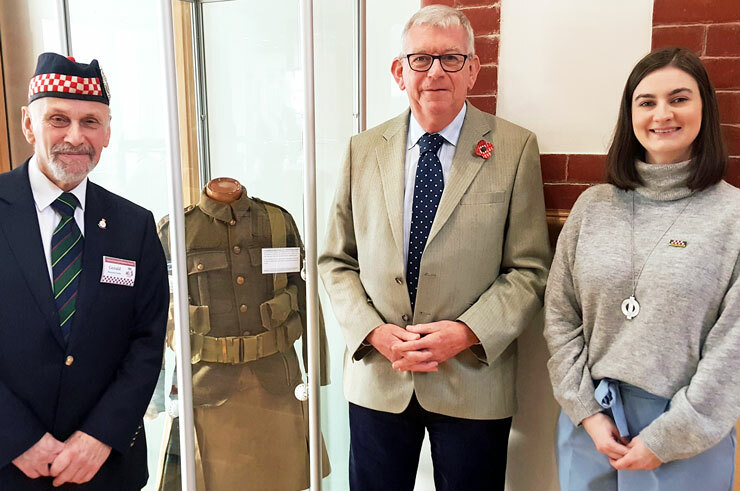 The exhibition was opened on November 15 by David Clark, chairman of the Heritage Trust, and Gerald Mortimer of the A&SH Museum. The exhibition, organised by Trust director Nigel Allan, will be in place for about three months. Admission is free, and it is open during Civic Centre opening hours. Pictured at the opening ceremony are Gerald Mortimer, David Clark and Allison Spark, curator of the A&SH Museum.